hd00:34CIRCA 1939 _ Wheat is processed at the Receiving Department the Gold Medal Flour mill. hd02:13CIRCA 1940s - Mao Zedong posters are marched through the streets of China. Children are indoctrinated in Communist ideology. 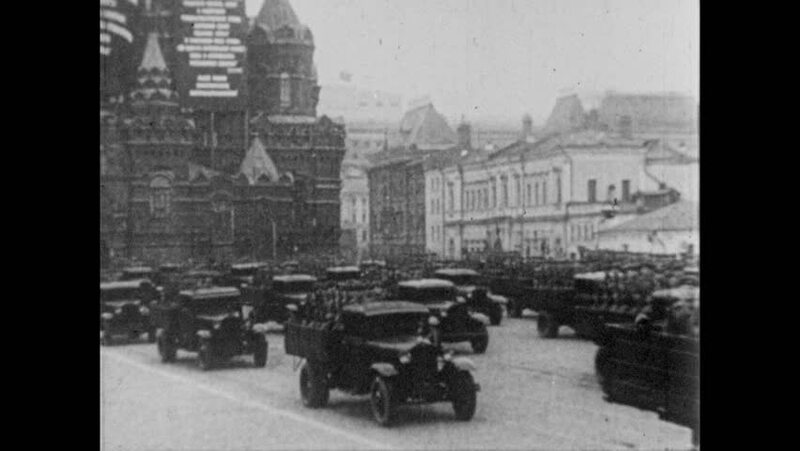 hd01:35CIRCA 1918 - Crowds and Allied troops march in a military parade through a town in Siberia during the Russian Civil War. hd00:54CIRCA 1930s - The 57th Annual Shrine Convention in 1931.